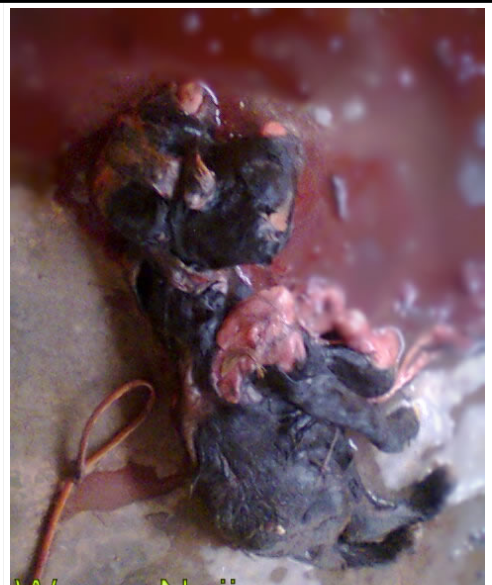 It was a morning of surprise for residents of Osin-Ekiti in Ikole Local Government of Ekiti State on Friday as a black nanny goat gave birth to a kid goat with two heads. Residents of the sleepy town of Ekiti said the strange birth was the first ever in the history of the town which has existed for more than 50 years. 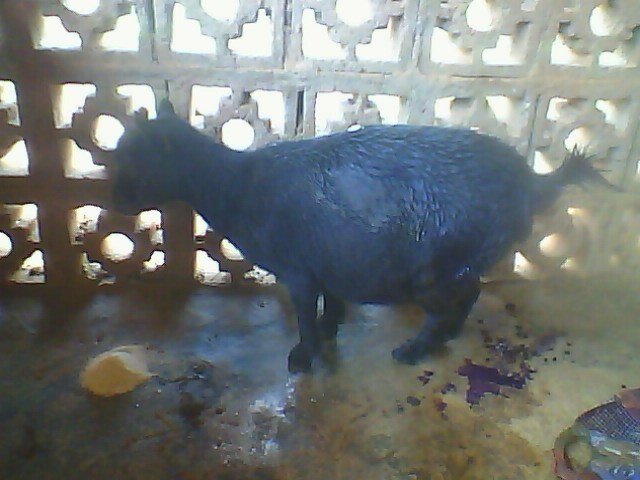 According to witnesses, the nanny goat which belongs to and Octogenarian identified simply as Mrs. Ola laboured for more than 24 hours without any success before veterinary doctors were invited for an emergency rescue of the goat which was already exhausted. “It took the vet team more than two hours to successfully remove the two-headed creature from its mother,” an eyewitness said. Many residents who witnessed the strange birth declined to speak, fearing that the occurrence has ominous undertone. A middle-aged resident who spoke under the condition of anonymity confirmed that it was the first time he would hear of such occurrence since he started living in the environment. “If it were those days of the past, the owner would be forced to visit the palace to say her own side of the story of how she came about the goat and the kid,” the resident said. Another resident who also begged to remain anonymous held that a goat with two heads was the handiwork of evil-doers, testing their evil powers through this channel. “It is not ordinary. God doesn’t make mistakes. Strange things are happening these days and I think the world is coming to an end like the Holy book said,” the resident said. However, Dr. Abdulrasheed Shuaib, the veterinary doctor who led the team that eventually saved the goat from the strenuous strange birth said it was a mere mistake in nature. The doctor who works at Temmy Vet, Oye-Ekiti explained that though he hasn’t seen such an incident physically before this one, it wasn’t a new thing. He said such births would have been easily carried out by surgery. “Cases like this are usually successfully done only by surgery (Caesarian section) but somehow, miraculously, we were able to manipulate by traction and get the foetus through the birth canal,” he said. Under close gross examination, the baby-goat had two separate heads joined at the neck region, two forelimbs and two hind-limbs. Each head carried two eyes, a nose, a mouth, a tongue and a pair of eyes. Despite the fact that the kid was quickly disposed of, the news has spread around the town. Dr. Abdulrasheed added that the strange birth could have been caused by series of environmental factors and what the goat has consumed during the gestation period like chemicals, smoke or haphazard grazing on unwholesome plants.